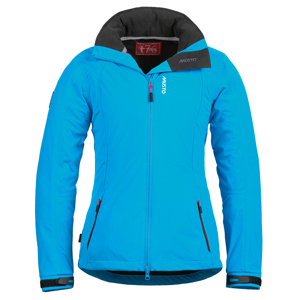 New to the Autumn/Winter range of ZP176 is the Musto Ladies Zara Philips 176 Training Jacket. This jacket doesn’t shy away from standing out in bright Peacock Blue and Holly Red colours, with a Navy version for a more subtle look. By Zara’s own admission we already know this jacket will be more than just something that looks good, but what is so good about it? Firstly it covers the basics you would expect from Musto – it’s waterproof, windproof and breathable. The jacket is light enough that you could take it anywhere you were going and it doesn’t take up too much space. The 2 way zip is a classic feature of jackets designed for outdoor living and pursuits, and the jacket has a drawcord hem allowing it to maintain your body temperature in cold winds. Other features such as the roll away peaked hood which is adjustable, and the adjustable cuffs allow you to wear this jacket to best suit yourself, and what you are doing. The fleece lining is incredibly soft, and both the outer zipped pockets, and the inner zipped security pocket are fleece lined for comfort. Interestingly the lining of the sleeves is the same fleece as the rest of the jacket, but the lining has been reversed to allow ease of movement in the arms. 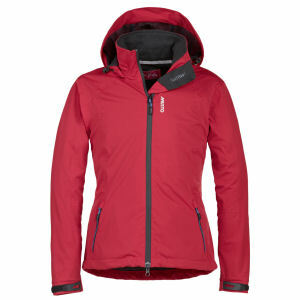 One of the best and standout features of this jacket is that the outer material has a four way stretch. The jacket really stretches in all directions and it gives you peace of mind that it will move with you, which is especially important for the equestrian market because you are not restricted in movement or performance. Even if you are not going to be wearing this jacket with equestrianism in mind, it is still a great jacket on its own. And one final bonus is that it is machine washable – what more could you ask for? equestrian, four way stretch, Musto, training jacket, Zara Philips, ZP176. Bookmark.